“American Horror Story” will be competing as a drama series at this year’s Emmys, the Television Academy announced on Tuesday. 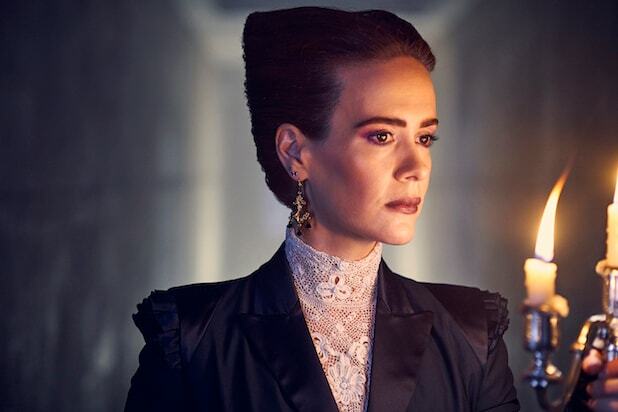 The move comes after last year’s “American Horror Story: Apocalypse” united past seasons under one shared universe, with a number of actors reprising their characters from previous installments, including both Season 1 stars, Connie Britton and Dylan McDermott. Series regular Sarah Paulson also reprised two of her characters from other seasons. “The Sinner” and “American Vandal” competed in their initial seasons as limited series, but both have since aired second seasons in which central characters returned for new storylines with different supporting casts. “American Horror Story” was the first show to open the door for season-length anthology series to compete as limited series when it debuted in 2011. It has since gone on to earn a total of 89 nominations in those categories, including four nominations for Outstanding Limited Series. In the years since, a number of other anthologies have employed a similar awards strategy, including ABC’s “American Crime,” FX’s “Fargo,” Nat Geo’s “Genius,” as well as “American Crime Story” and “Feud,” both from “AHS” co-creator Ryan Murphy.